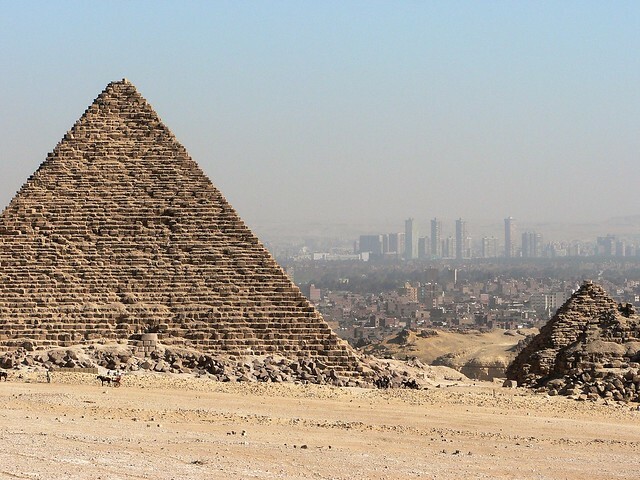 On 18 December 2006 more than 130 South Africans arrived in Cairo for the beginning of a jam-packed 2 week tour through 5 countries in the Middle East. For the most part we all arrived at our hotel in downtown Cairo with our luggage. I remember being part of a group that had to wait for our luggage as it was forgotten at the airport on a group trolley. After freshening up we set off to see the pyramids and sphinx at Giza that morning. The site was a bit too touristy with persuasive guides trying to get us to take a camel ride and people trying to sell us alabaster. There was a tasty KFC just next to the sphinx which some of us got snacks from before the main group lunch where our itinerary was explained to us by our organisers. That afternoon some people decided to check out the Egyptian Museum of Antiquities while others roamed around the streets at our leisure. We spent the evening at Khan el Khalili bazaar. While some chose to get an early night of rest I joined a group for a Nile Dinner cruise where we were treated with live entertainment. There was also an unexpected on-board wedding celebration that night. Believe me when I say that I had a good night of sleep upon return to the hotel after such an eventful day. We returned to the Nile Dinner Cruise boat the following morning for breakfast. I remember looking around to see if I could find the SD Card from my camera that I dropped the night before. Unfortunately it was nowhere to be found and I’d lost most of my day 1 photos. In Cairo you will see many buildings with an additional top floor that is incomplete. I was told this is a loophole in the law exploited by residents to avoid paying property tax on an incomplete building. These residents along the Nile appeared to have there roof’s 100% complete. 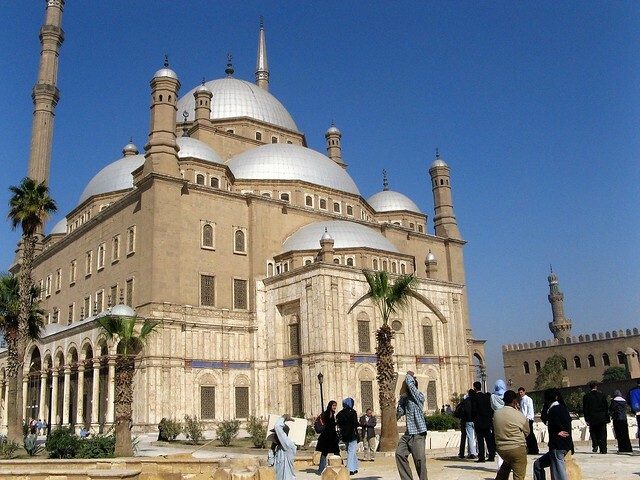 We then set out to see the Citadel of Salahuddin Ayyubbi and the Muhammed Ali Pasha Mosque in Cairo. 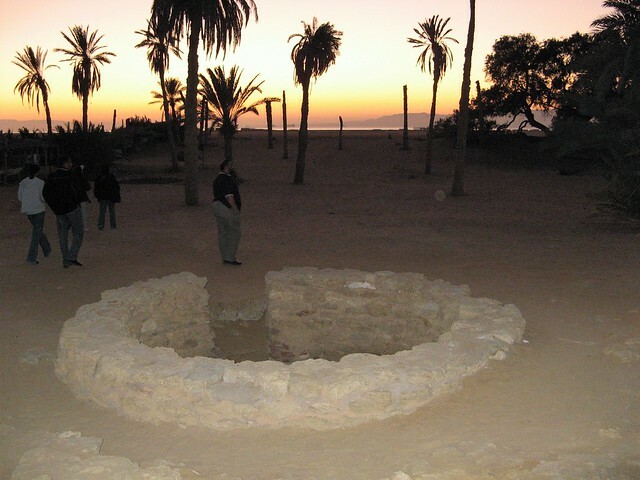 This was followed by a long (12 hour) bus drive from Cairo, under Suez Canal to Sinai on the route of Moosa (AS) along the Red Sea to the resort town of Sharm el Sheikh. We stopped to see a well of Moses (Moosa A.S.) on the route. On arrival at Sharm el Sheikh it was dinner immediately followed by sleep that night. The next day in Sharm el Sheikh we had a number of optional activities to choose from. I went on a desert quad biking adventure tour. Others elected for scuba diving or a glass bottom boat tour. I got lunch from one of the restaurants in the promenade that afternoon. After dinner we enjoyed ourselves with hookah and/or chai at one of the cafes in the promenade. We even took a walk over a little hill overlooking the promenade that night to get a better view before retiring to bed. The next morning we would continue our journey into Jordan.